Stay young and pretty with Fairy Beauty. Friday night staying in to blog about my daily beauty boosting supplements from Fairy Beauty. 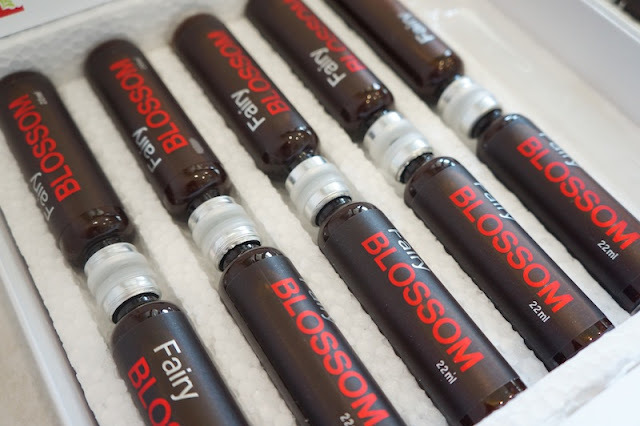 Formulated in New Zealand, Fairy Beauty is using effective formulations based on herbal origins and principle of Homeopathic Remedies to perform the genuine power of nature that works holistically and naturally in human body system. 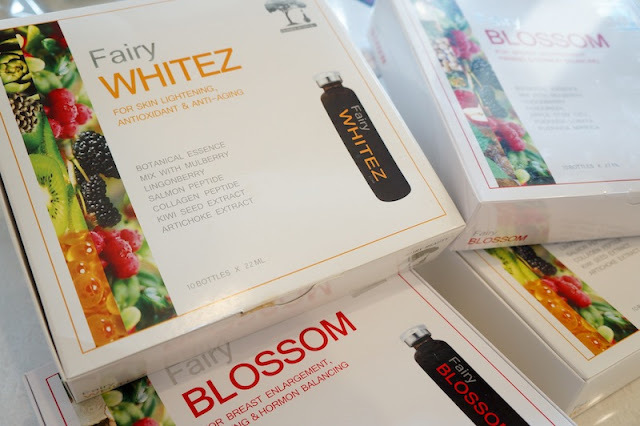 Basically there are two main products, Fairy Whitez and Fairy Blossom. The first focuses more on skin improvement, the later is towards beauty and slimming. Each pack contains 10 mini bottles (22ml each). 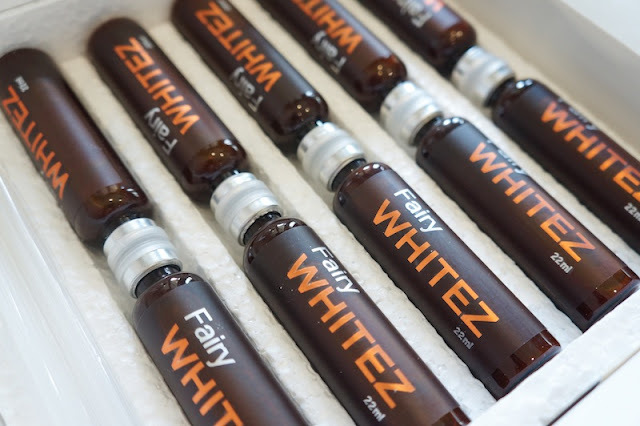 So far i've only tried Fairy Whitez for a month, it does really help in brighten my skin colour as well prevents the development of acne. Late night sleepers like me always have serious dark circles and eye bags that even concealer couldn't help (unless photoshop or mei tu xiuxiu app). 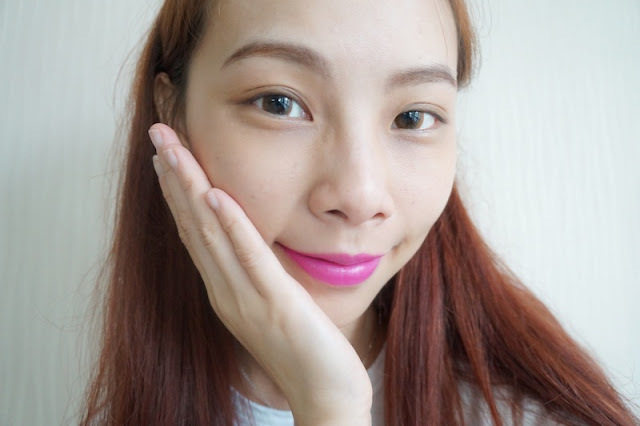 While consuming Fairy Whitez, dark circles and eye bags weren't that bad as before even if i sleep in a.m continuously. Just in case you all do not know when is the best time to consume beauty supplements, it is good if you can drink it every morning before breakfast/brunch. Usage amount is varying based on how fast you want to see the result. I personally drink 1 bottle every alternative day, but of course you can drink one bottle each day.